You’re not short on time, you’re short on focus. 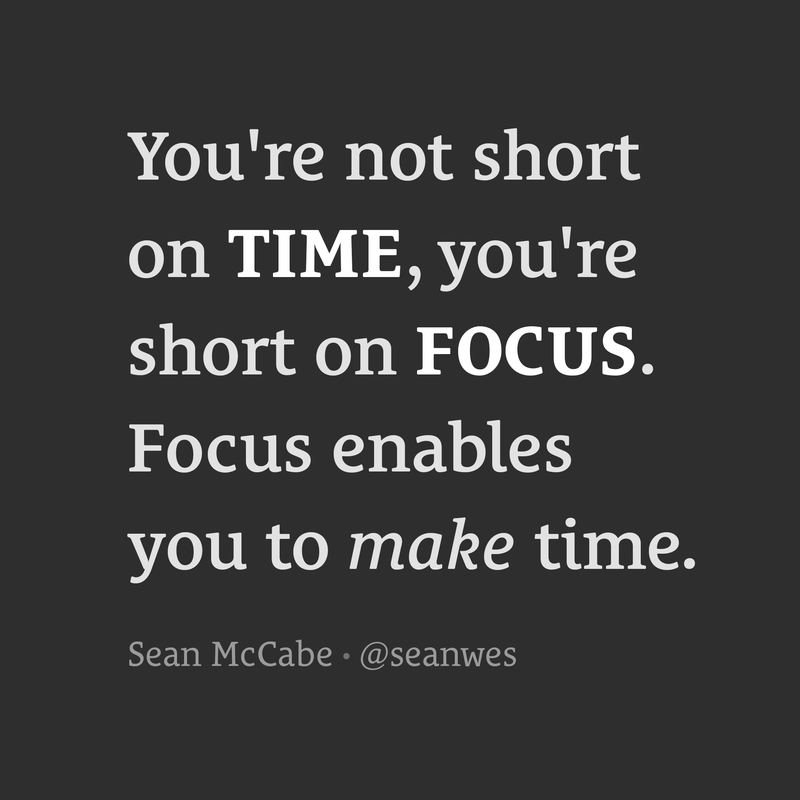 You don’t need more time, you need more FOCUSED time. Many of the most creative and successful people in history did not work 18 hours a day in order to do their best work. Instead, they worked in intense bursts of focused time—often for no more than 4 or 5 hours per day. Optimal blocks of focused time span 90 minutes on average and rarely ever exceed 120 minutes. At most, you can expect to get two 120-minute, or three 90-minute, blocks of truly focused time in a day. That’s only 4 or 5 hours per day. Don’t complain you don’t have time. Don’t compare yourself to others you THINK have more time than you. Not only is it arrogant to believe you know their full life circumstances, but comparison also does absolutely nothing for you. It’s not time you lack, it’s focus. Eliminate distractions and increase your focus. You will get more done and free up more time.